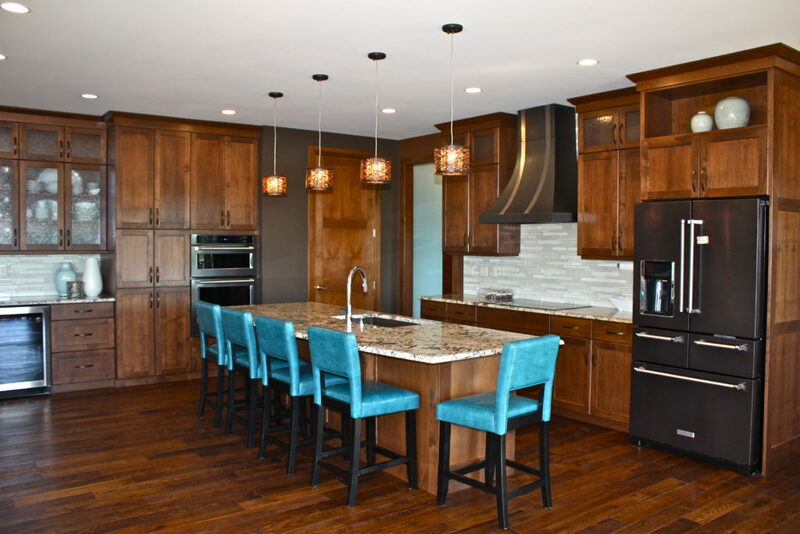 We worked with this homeowner from blueprint revisions, fireplace designs, lighting selections as well as all the finish material selections and everything in-between! The result is a cohesive mix of contemporary and transitional design. We are absolutely thrilled with how the home turned out and hope you love it too! 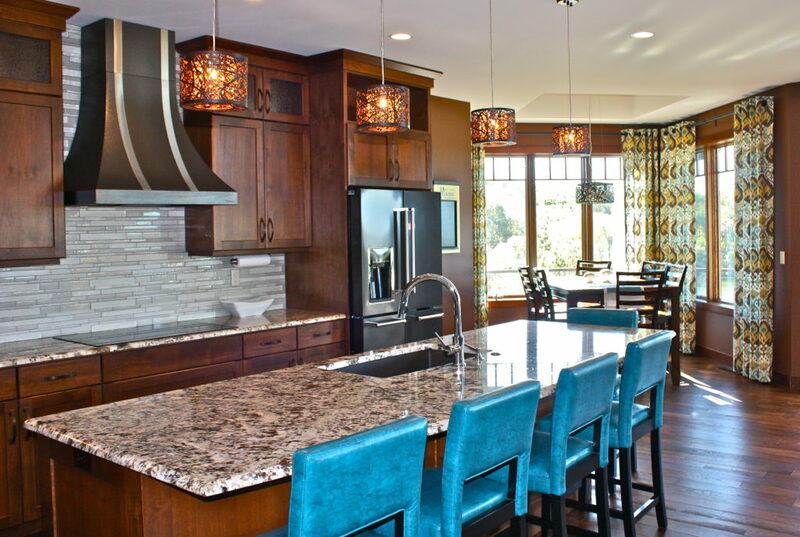 Granite countertops, glass mosaic backsplash, custom metal vent hood, custom drapery, and the blue stools complete this gorgeous kitchen. Who wouldn't want this view when you walk into your home?!? Wood beams and flooring, colorful custom drapery, and a beautiful stone fireplace make this living room so cozy and inviting! Designing this fireplace and kitchen area was a favorite part of the project. Since the floating shelves/mantles were so deep, creating a way to support them was somewhat of a challenge. They just look so great. 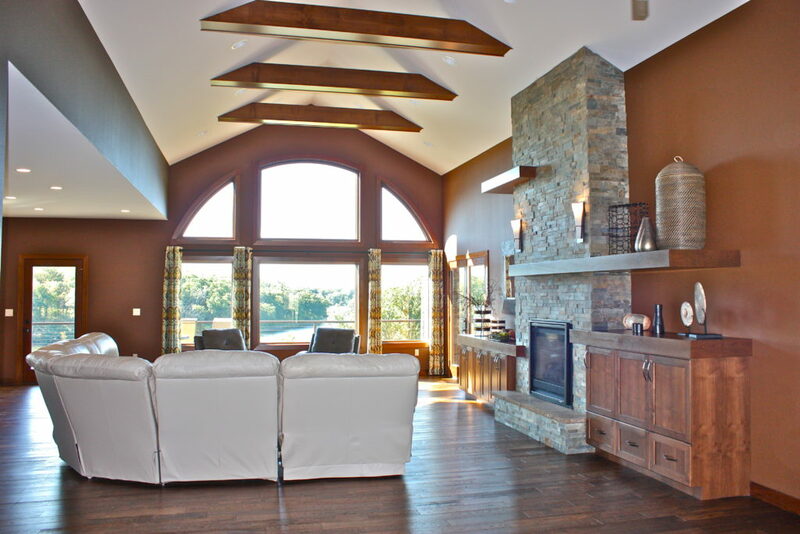 The stone and beams totally complete the look of the room. This mission was successfully accomplished thanks to the effective team work of the builder and cabinet supplier. 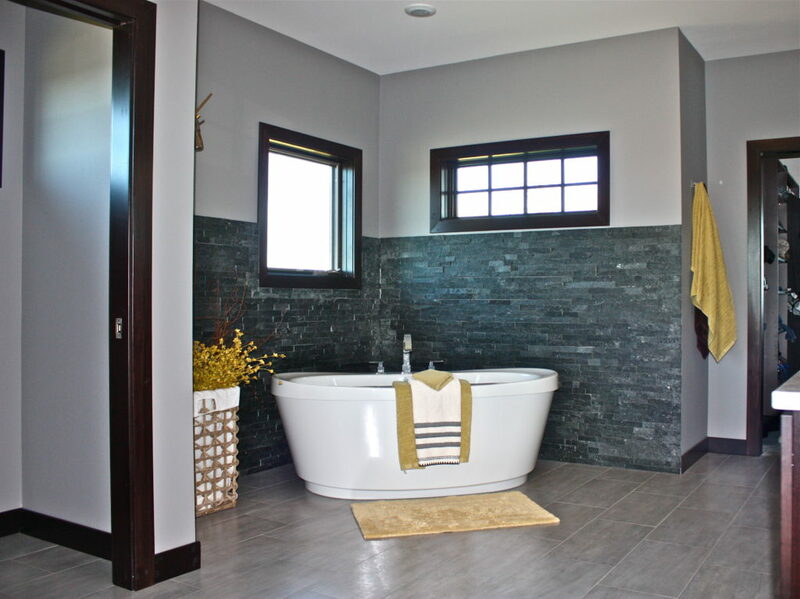 The focal point of the master bath is the soaking tub. 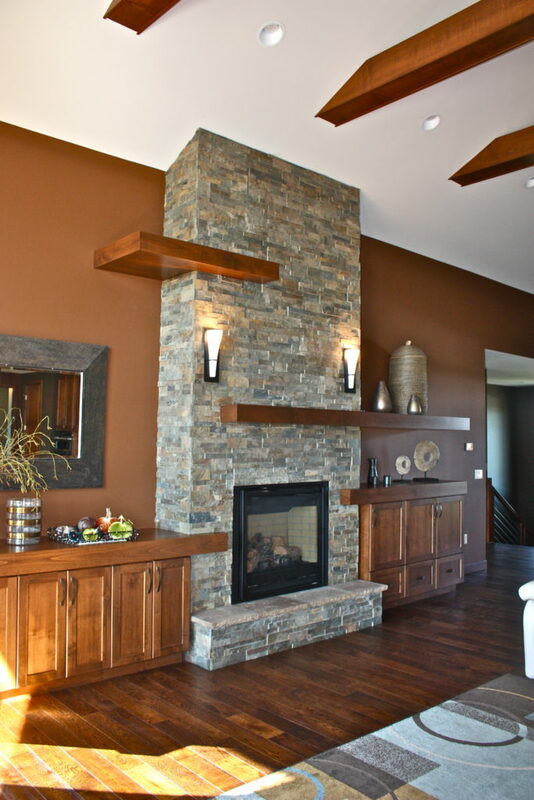 It is surrounded by black ledgestone to protect the walls from any water splashing, but also to add warmth to the space. We love the touches of yellow that the homeowner has added! Showroom Hours: 8-5 M-F, evenings by appointment.